The DIM12HP is a low voltage 12V or 24V PWM lamp and LED dimmer module controlled by the supplied external potentiometer. Connections to the DIM12HP are shown in the Connection Diagram section. 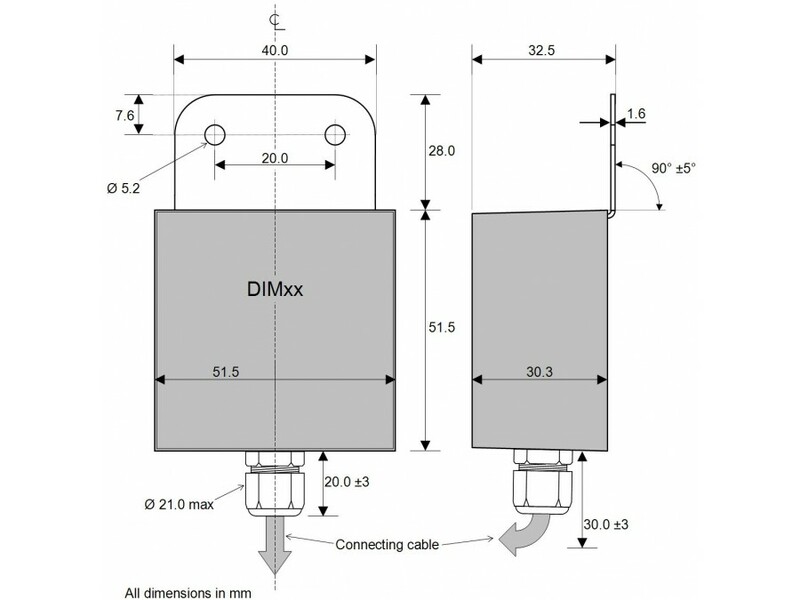 The DIM12HP is connected to the supplied external potentiometer module with 2-core cable. Turning the potentiometer shaft clockwise will increase the lamp brightness, anti-clockwise will decrease the lamp brightness. The DIM12HP features a fail-safe feature whereby in the event of an open circuit between the DIM12HP and the potentiometer module, the output will default to full brightness. The dimming control can be any resistance such as a thermistor - for temperature controlled dimming, or an LDR - for light controlled dimming. 0R = fully off, 10k = full brightness. 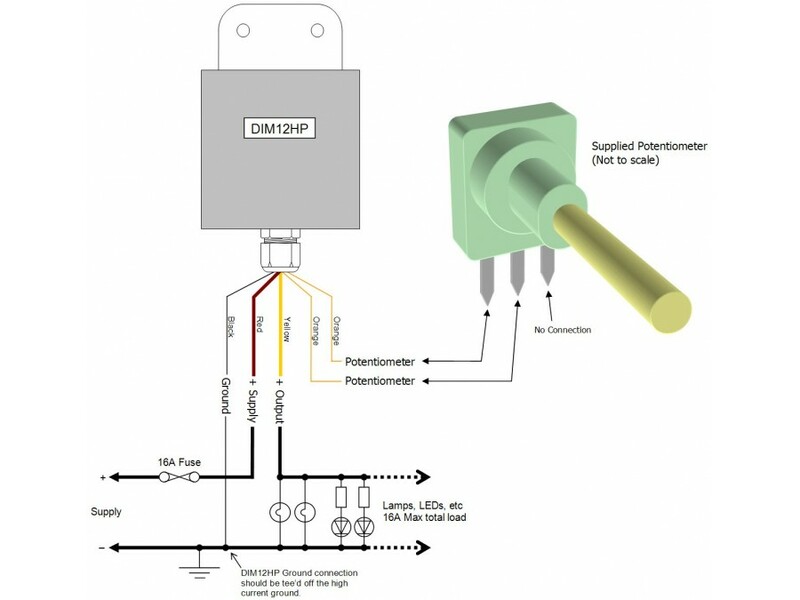 The DIM12HP can be used with any 10k linear potentiometer. Only two terminals of the potentiometer need to be connected to the DIM12HP: the wiper (central) terminal and left-most terminal with the shaft facing you. The DIM12HP is IP68 rated (fully waterproof) and is fully protected against ingress of water and dust. It has wire terminations greater than 30cm long.